Company name : Kurata Foods Ltd.
link to access your payment transaction. (2)Proceed to payment by clicking URL link in the email. (3)We will ship your package after confirming payment. 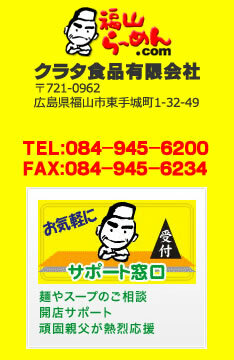 How to order : Please make your order via this web shop or e-mail. return within 5 days of receipt of shipment via the e-mail. and confirm your shipping rate. service,customs,or mail courier of the country.